Heavy Planet : New Feature On Heavy Planet-"Classic Band To Burn One To"
New Feature On Heavy Planet-"Classic Band To Burn One To"
I have decided to start running a new feature on Heavy Planet called "Classic Band To Burn One To". Every week I will feature a Classic Rock band from the sixties, seventies or eighties that I deem either influential, obscure, or just plain badass. The first band to take honors is WEED (how ironic,huh?). 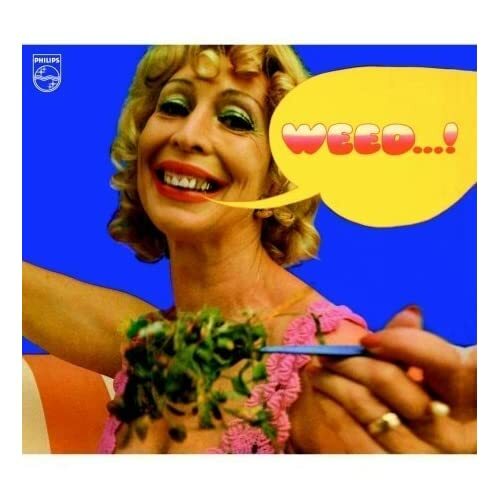 The only release by German act, WEED, plays a special role among the more obscure Krautrock acts from the seventies. The unconventional music produced by WEED has to be seen within the context of the German music scene of that time, still looking for its own identity and experimenting with a diversity of curious stylistic directions. Weed...! , the album, was originally released in 1971 and had been described by the British press as a mix of Guru Guru and The Status Quo. Of more interest to collectors alike, WEED features Uriah Heep keyboardist Ken Hensley on vocals, keyboards and guitars. Some believe that Hensley wrote all the songs on the album, but for whatever reason did not want to be credited for doing so. The album was remastered on CD and lavishly packaged in digipak format with all original artwork and new liner notes on July 3, 2006 on Brain/SPV Records. If interested, you can purchase this CD here. Nothing like a good flashback to remind us of what real music used to sound like. Think I'll go put Disraeli Gears on the turntable.